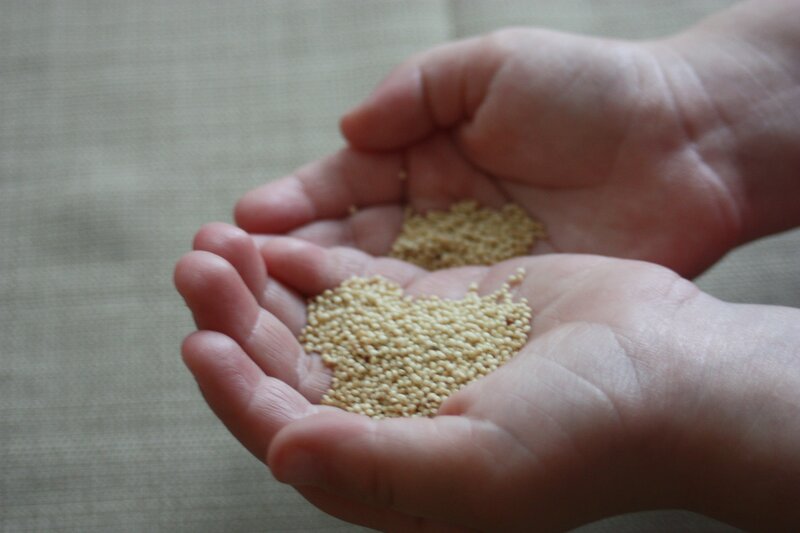 To add variety to my family’s diet and explore gluten free options, I have been trying different grains. 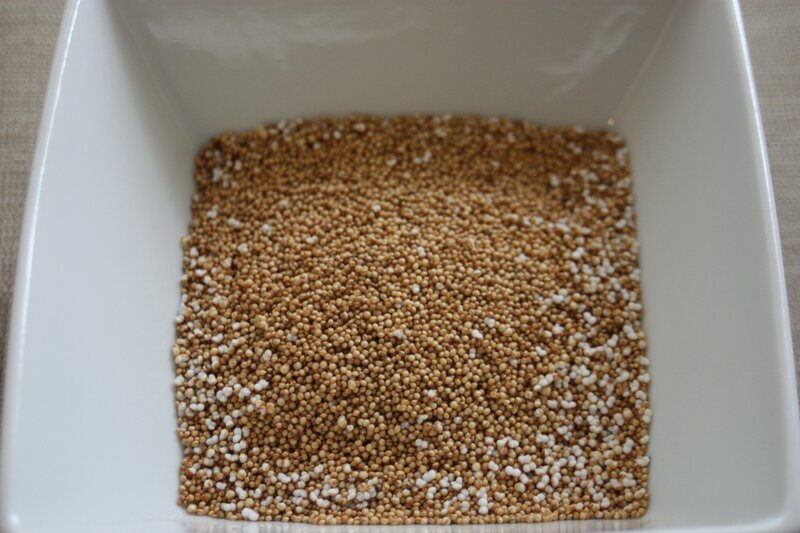 Amaranth is a gluten free, pseudo-cereal (it’s actually a seed) that packs an impressive amount of nutrients – it is high in calcium, iron, potassium, and protein – in its small frame. It can be used in a variety of ways, such as bread, a substitute for other grains in salads or soups, and a porridge-like breakfast cereal. 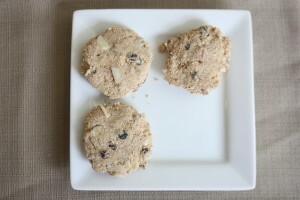 While I personally find that the earthy tones are a bit over powering when eaten like a porridge, I love the unique flavors it adds to these no-bake cookies. You may ask why no-bake, and the simple answer is laziness. 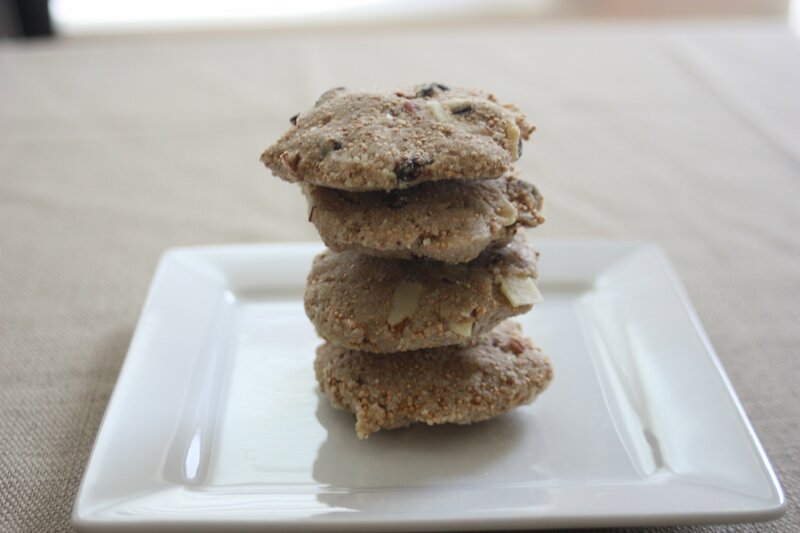 While this recipe could easily be tweaked if you are following a raw diet, I really just wanted to try a simple and quick recipe that could satisfy pestering kids or a craving for sweets. The added bonus is they are a guilt-free solution with very little sugary ingredients. 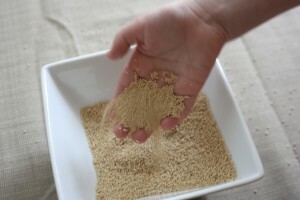 The nutty flavor of the little yellow seeds (which are fun to play with in a sensory bin kind of way, according to my preschooler) is enhanced with a quick dry toasting. 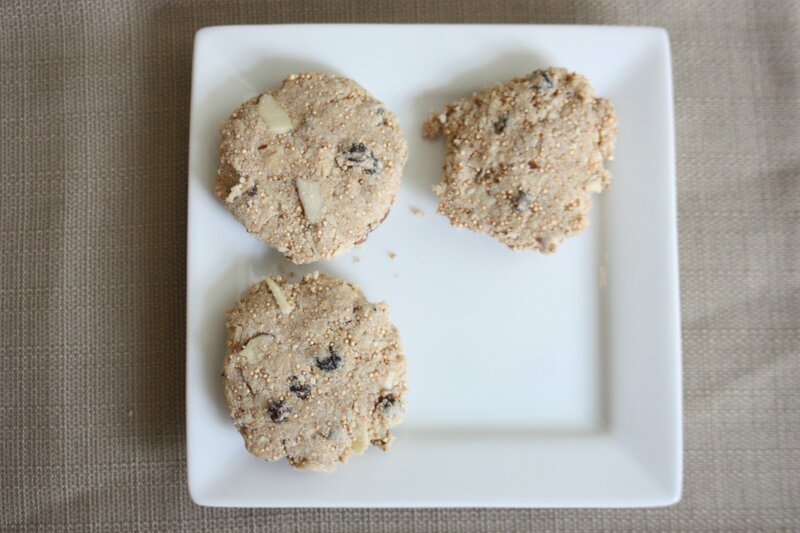 This nutty flavor is balanced with the buttery taste and mouthfeel of the almond meal and coconut oil. A bit of currants and almond slivers add just the right amount of texture. It is hard to believe that such a small amount of oil and honey can hold these cookies together, but it works. With no oven heating either, this recipe is going to be a year round favorite in my house. The true testament to their tastiness is the fact that my picky toddler kept begging for more, and my husband polished off the plate shortly thereafter. Perhaps I should have made a double batch. 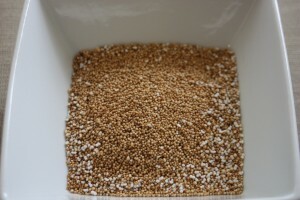 Pour the amaranth grain into a non-stick skillet and heat over medium heat, stirring frequently. Toast the seeds until they turn a light brown color and a few seeds pop. Remove from the heat and pour the seeds into a large bowl. 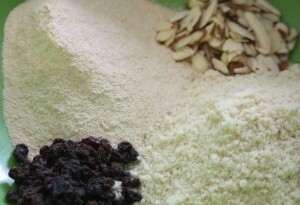 Add the almond meal, amaranth flour, almond slivers, currants, cinnamon, and salt to the bowl and stir together. Add the vanilla, coconut oil, and honey, then mix until the dough holds together (add more coconut oil if necessary to get the dough to hold together). Form into balls or cookie shaped disks, moving quickly to prevent the heat of your hands from melting the coconut oil. You can eat them right away, but they firm up nicely after a few hours in the refrigerator. Makes 1 dozen, 2-inch diameter cookies.